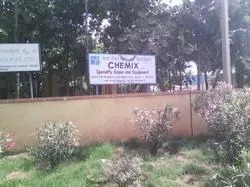 Established in the year 2006, we, “Chemix Specialty Gases And Equipment”, are one of the prominent organization engaged in manufacturing, supplying and exporting a commercially manufactured range of Gas Mixtures & Handling Equipment. The entire range of gases is manufactured with or without reinforcing separation processes and chemical synthesis. Owing to the excellent compressed forms, our range is widely used in industries like petrochemicals, refineries, fertilizers, chemicals, steel and others. Special raw material are imbibed to fabricate various products with efficiency. Our organization works with the aim of serving our patrons with a high quality product array, which is manufactured using latest technology & advanced equipments. We have appointed a team of qualified & proficient professionals, who own dual knowledge about the respective domain. They efficiently understand the clients’ need and offer the products accordingly. They put in their best efforts to attain the objectives within the committed time frame. Besides, our infrastructure plays a vital role in the growth and development of our infrastructure. We have developed a well maintained warehousing unit, which is well equipped to store the final range in a safe and efficient manner. With the astute guidance of our mentor, 'Mr. A. L. Roy', we have been able to root our success and perfection in this highly competitive industry. With his excellent motivational skills, commendable persona and vast industry experience, we have been able to efficiently meet the clients demands and needs. We are backed by a team of qualified & hardworking professionals, who work stringently to offer a supreme quality range of Gas Mixtures & Handling Equipment to the clients. These employees have perfect knowledge about their respective domain and clients’ requirements. They make sure to offer the products that can satisfy the variegated demands of the customers in the most efficient and effective manner. Moreover, these professionals fulfill the organizational goals and objectives by working in close coordination with each other. Elite training and development sessions are organized at regular intervals to enhance and improvise on the skills of our teammates. We own a state-of-the-art infrastructure at our end, which is segregated into different units to streamline all the business activities in a well-defined manner. These departments are well-equipped with advanced machines & latest technologies that allows swift rate of production. These departments are perfectly managed by a team of hardworking experts. These professionals utilize all the available resources in a judicious manner. At our premises, special attention is given to maintain the healthy working atmosphere, so that our team is never disturbed while performing the tasks. Chemix Specialty Gases & Equipment is ISO 9001-2015 Certified Company for Manufacturing & Supply of Specialty Gases, Gas Handling Equipments and Hydrostatic Testing of Gas Cylinders. We are continuously driven by quality consciousness and integrity. With a well-fueled production unit and 24-hour professional support, we have a clear understanding of every bit of quality aspect of our products like special purpose gases, calibration gas mixture, ultra high pure gas, instrument gas mixture during its preparation. We direct our endeavors towards ISO 9001-2015 management system, NABL accreditation of the laboratory, working in line with ISO guideline for manufacturing, analysis and certification to improvise our manufacturing processes.